"It's OK To Be White"
Honesty, trust, respect, fairness, responsibility, and the free exchange of ideas form the foundation of integrity that supports the entire community at The College of Saint Rose. This resource guide was created by staff and faculty at The College of Saint Rose in response to the rise in overt racism we have witnessed in recent years at both the local and national levels. The information shared here is intended for a wide audience: It is for those who seek to learn more about race and the history of racism in the United States. It is for those who struggle with concepts like structural and institutional racism. It is for those who may not understand the pain, fear, and anger triggered by racist attitudes, speech, and actions. It is also for those who seek tools useful for facilitating productive dialog about race in the classroom and in daily life. 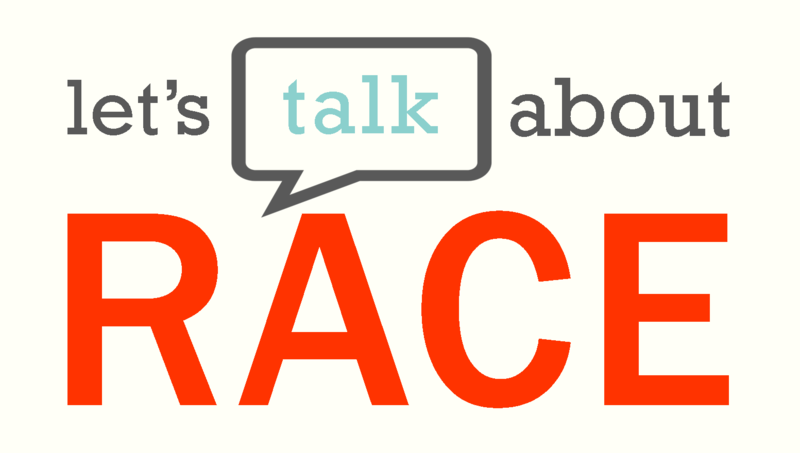 This resource may make some people feel uncomfortable, defensive, or even angry, and that is ok. Talking about race is almost never easy. If you're feeling uncomfortable, defensive, or angry please take a moment to think about why you feel this way. Examine the information shared in this resource with a critical and open mind and learn with us. Robin DiAngelo is an academic and author of the book White Fragility, published in 2018. In this short segment DiAngelo shares her thoughts on why many white people react defensively when their world views, identities, and racial positions are challenged. Also known as implicit social cognition, implicit bias refers to the attitudes or stereotypes that affect our understanding, actions, and decisions in an unconscious manner. These biases, which encompass both favorable and unfavorable assessments, are activated involuntarily and without an individual’s awareness or intentional control. Residing deep in the subconscious, these biases are different from known biases that individuals may choose to conceal for the purposes of social and/or political correctness. 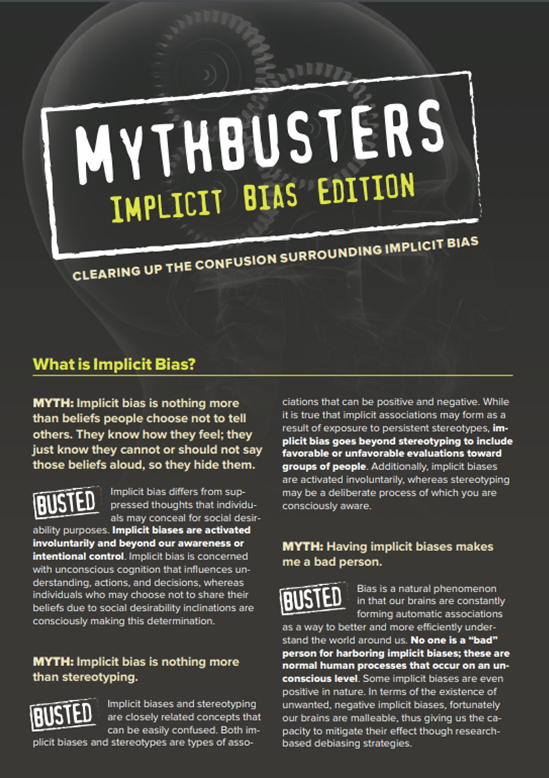 Rather, implicit biases are not accessible through introspection. The implicit associations we harbor in our subconscious cause us to have feelings and attitudes about other people based on characteristics such as race, ethnicity, age, and appearance. These associations develop over the course of a lifetime beginning at a very early age through exposure to direct and indirect messages. In addition to early life experiences, the media and news programming are often-cited origins of implicit associations. - Implicit biases are pervasive. Everyone possesses them, even people with avowed commitments to impartiality such as judges. -Implicit and explicit biases are related but distinct mental constructs. They are not mutually exclusive and may even reinforce each other. - The implicit associations we hold do not necessarily align with our declared beliefs or even reflect stances we would explicitly endorse. - We generally tend to hold implicit biases that favor our own ingroup, though research has shown that we can still hold implicit biases against our ingroup. - Implicit biases are malleable. Our brains are incredibly complex, and the implicit associations that we have formed can begradually unlearned through a variety of debiasing techniques. This resource guide is a work in progress. Please get in touch if you have a question, comment, or resource suggestion.